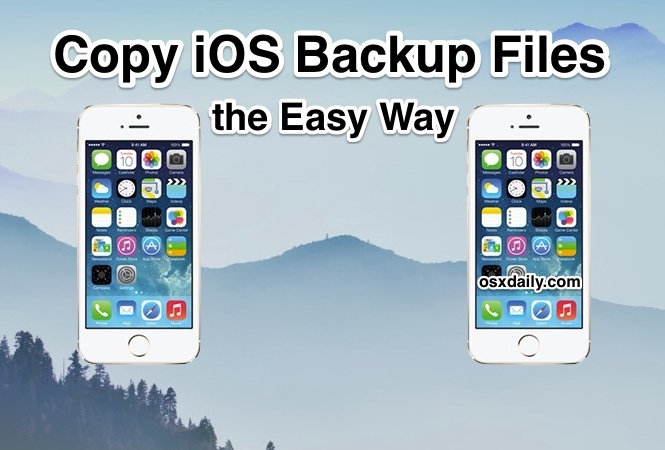 Duplicating the iPhone backup files may be desirable or necessary for a variety of reasons, whether it’s to make a manual backup of your iOS backups, or even if it’s just to move it onto another drive so that you can clear out some disk space. 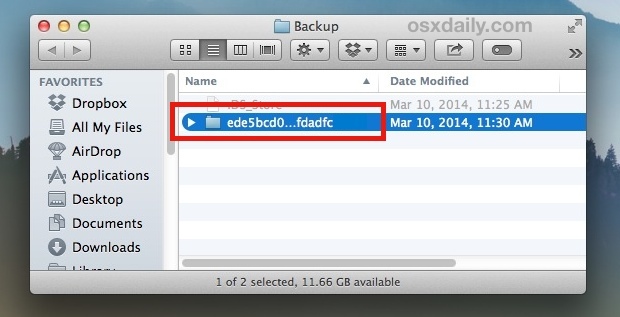 There are a few ways to go about doing this, but we’ll show you the quickest way to quickly make a copy of any locally stored iPhone, iPad, or iPod touch backup file. You’ll definitely want to do this if you have any plans on editing the backups made through iTunes, particularly if you’re going to manually extract photos, text messages, or other items from the stored SQL databases. Keep in mind that each backup is often roughly the size of the content on your iPhone, iPad, or iPod touch, so making copies of them can add up quick on smaller hard drives. Note that if you duplicate the folder in the same location as the other backups, it will appear as a duplicate in the iTunes app – that can be confusing, so it’s best to put them elsewhere, even if for temporary uses like the ~/Desktop. Alternatively, you can always go directly to the directory locations of the backup files and copy them that way too, but the approach from iTunes is much quicker and more user friendly for most individuals. All of this applies universally to all iOS devices synced with iTunes on the computer, so though we’re focusing on the iPhone you won’t have an issue using the instructions for an iPad or IPod touch either. thank i need that tip. but would it be possible to put this duplicate backup in another iTunes in another mac? Then have it synced to my iPhone? I have the same questions as “asim.’ Where do I place this duplicate backup on a brand new Mac so that it is usable and appears in the “devices” section in iTunes on the new Mac? You just need to connect the iPhone to the new Mac with iTunes and “Trust” the device with that computer. Then back it up to the new Mac, and sync it, that’s how it will be usable on the new iTunes and new Mac. Apple only wants you to be able to sync one computer to an iPhone or iPad at a time for who knows what reason, so you should pick the new Mac to sync it to . 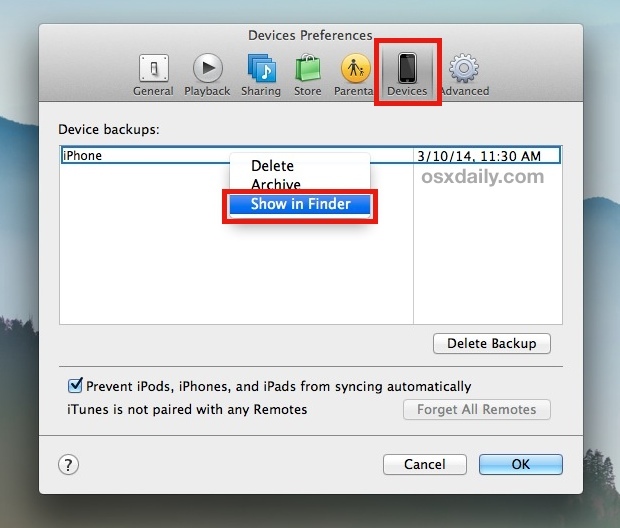 The direct file copy method you reference doesn’t work because each device hardware has an ID that is attached to identify it, which is why you must connect the iOS device to the computer, choose to “Trust” it when the pop-up shows up, then back up the device to the new computer, then sync it to the new computer.